If you’ve always dreamed about starting your own business, you might want to consider starting your own chrome company. With Pchrome’s white label spray chrome program, getting started is simple. We can help you to get up and running in no time so that you can begin enjoying the profits that a chrome business can bring. With your private label spray chrome, you can offer chrome spray to your customers with the highest quality in the industry. We can help with using your own unique labels and drop-ship directly to your customers so that you will not need to store and carry inventory. Since we do all of the work for you, you can concentrate on other tasks that you need to address in order to broaden your customer base. Our private label spray-chrome offer allows you to enjoy the profit margins that you want. 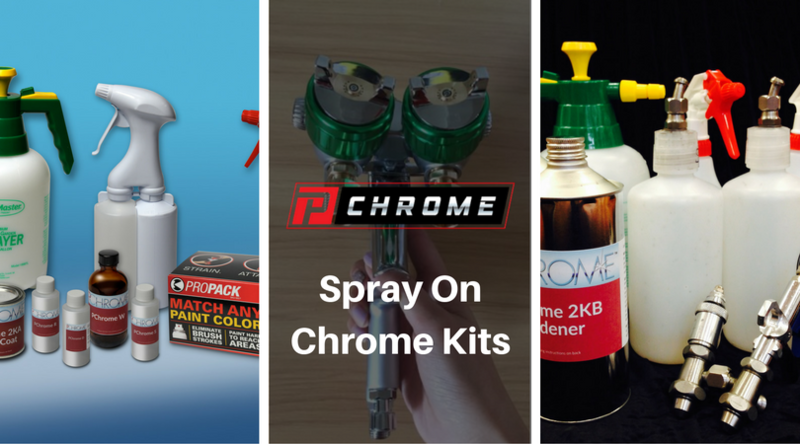 Choosing PChrome as your white label spray-chrome manufacturer offers multiple benefits. You can get your business up and running by placing your order. We offer next-day shipping and unlimited technical support. Our kits come with the dual-nozzle spray guns that your customers will need so that they do not need to make added investments in equipment. Our systems have been designed to work with the equipment offered by competitors, which can allow you to attract them as your own. We have been in business since 1932 and are the leaders in the industry. This means you can be assured that your customers will get chrome spray that has the luster and feel of chrome and that will last. To meet your customers’ demands, we also offer chrome spray in a variety of different hues. To learn more about starting your white label spray chrome business, contact us today. We can be reached by phone, fax, online or email. PChrome spray offers multiple advantages over electroplating and is an excellent choice if you want to add the beauty of chrome to your projects. To learn more about chrome spray, give us a call today for more information.